If you feel like you are receiving too many emails you can turn of the email notification within the app (1) or email (2). Open the Relive app and go to "Account." Turn off: "Email - new video"
Open one of our emails. 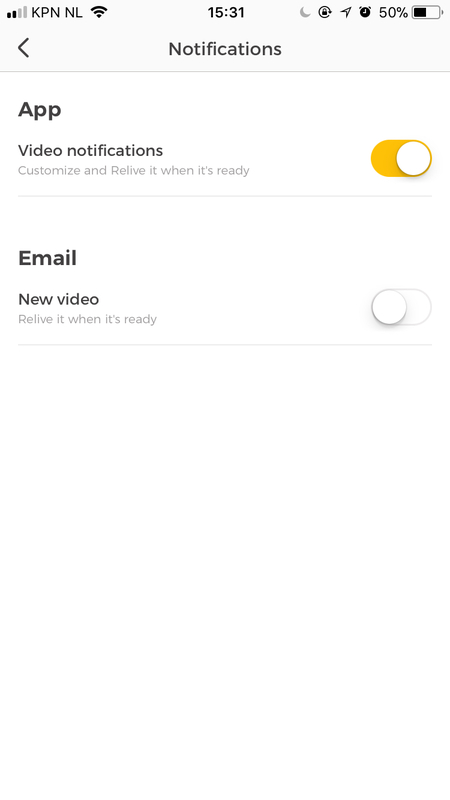 Tap on the "Manage your email settings" in the bottom. If you don't have the Relive app, you use Relive as an email service. So, unsubscribing from 'activity notification emails' means you need to unsubscribe from Relive. If you wish to do so, please deactivate your account.